to take full possession of my heart. perfect reign of His divine love. to the eternal glory of Thy Beloved Son. suffer me to offer my own miserable heart to thee. all that displeases thy divine Son. This devotion to the Sacred Heart is prayed on the regular Marian Rosary of 59 beads. To light and guard, to rule and guide." and for the conversion of sinners." "My God, I believe in Thee. My God, I hope in Thee. and for Thy sake I love my neighbor as myself." 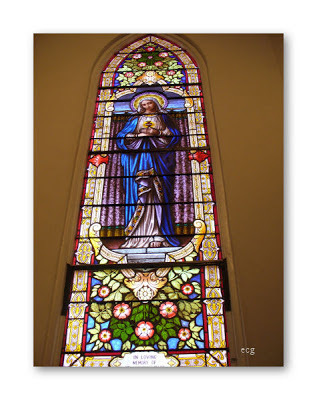 O Mary, conceived without sin, pray for me." I implore, that I may love Thee more and more. Sweet Heart of Mary, be thou my salvation." I give you my heart and soul. assist me now and in my last agony. may I breathe forth my soul in peace with you." A partial indulgence is granted to those who recite this prayer. A plenary indulgence is granted if it is publicly recited on the feast of the Most Sacred Heart of Jesus, (under usual conditions).This prayer was prescribed to be recited on this feast by Pope Pius XI. Most sweet Jesus, whose overflowing charity for men is requited by so much forgetfulness, negligence and contempt, behold us prostrate before Thee, eager to repair by a special act of homage the cruel indifference and injuries to which Thy loving Heart is everywhere subject. Mindful, alas! that we ourselves have had a share in such great indignities, which we now deplore from the depths of our hearts, we humbly ask Thy pardon and declare our readiness to atone by voluntary expiation, not only for our own personal offenses, but also for the sins of those, who, straying far from the path of salvation, refuse in their obstinate infidelity to follow Thee, their Shepherd and Leader, or, renouncing the promises of their baptism, have cast off the sweet yoke of Thy law. We are now resolved to expiate each and every deplorable outrage committed against Thee; we are now determined to make amends for the manifold offenses against Christian modesty in unbecoming dress and behavior, for all the foul seductions laid to ensnare the feet of the innocent, for the frequent violations of Sundays and holydays, and the shocking blasphemies uttered against Thee and Thy Saints. We wish also to make amends for the insults to which Thy Vicar on earth and Thy priests are subjected, for the profanation, by conscious neglect or terrible acts of sacrilege, of the very Sacrament of Thy Divine Love; and lastly for the public crimes of nations who resist the rights and teaching authority of the Church which Thou hast founded. Would that we were able to wash away such abominations with our blood. We now offer, in reparation for these violations of Thy divine honor, the satisfaction Thou once made to Thy Eternal Father on the Cross and which Thou continuest to renew daily on our Altars; we offer it in union with the acts of atonement of Thy Virgin Mother and all the Saints and of the pious faithful on earth; and we sincerely promise to make recompense, as far as we can with the help of Thy grace, for all neglect of Thy great love and for the sins we and others have committed in the past. Henceforth, we will live a life of unswerving faith, of purity of conduct, of perfect observance of the precepts of the Gospel and especially that of charity. We promise to the best of our power to prevent others from offending Thee and to bring as many as possible to follow Thee. O loving Jesus, through the intercession of the Blessed Virgin Mother, our model in reparation, deign to receive the voluntary offering we make of this act of expiation; and by the crowning gift of perseverance keep us faithful unto death in our duty and the allegiance we owe to Thee, so that we may all one day come to that happy home, where with the Father and the Holy Spirit Thou livest and reignest, God, forever and ever. Amen. 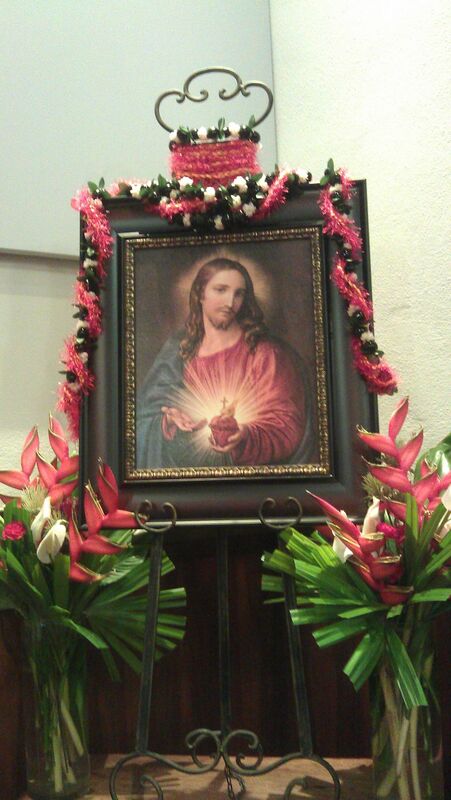 Today the Catholic Church celebrates the solemnity of the Sacred Heart of Jesus. In fact, the whole month of June is dedicated to Jesus' Most Sacred Heart. For those of you who still have not done the nine First Fridays, why not start today. What a wonderful way to honor the Most Tender and Loving Heart of our Lord! 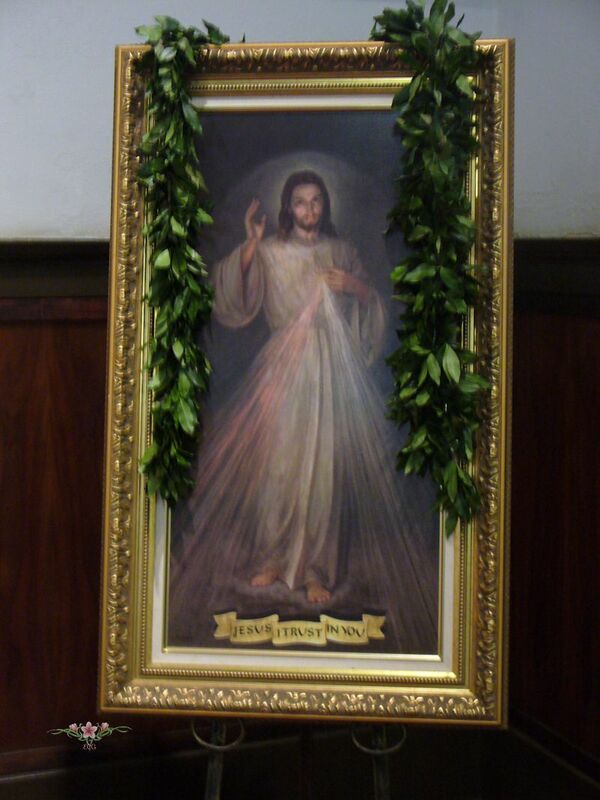 "From among all the proofs of the infinite goodness of our Savior none stands out more prominently than the fact that, as the love of the faithful grew cold, He, Divine Love Itself, gave Himself to us to be honored by a very special devotion and that the rich treasury of the Church was thrown wide open in the interests of that devotion." - Pope Pius XI regarding the Sacred Heart Devotion. The devotion consists in the divine worship of the human heart of Christ, which is united to His divinity and which is a symbol of His love for us. The aim of the devotion is to make our Lord king over our hearts by prompting them to return love to Him (especially through an act of consecration by which we offer to the Heart of Jesus both ourselves and all that belongs to us) and to make reparation for our ingratitude to God. O most holy Heart of Jesus, shower Thy blessings in abundant measure upon Thy holy Church, upon the Supreme Pontiff and upon all the clergy; to the just grant perseverance; convert sinners; enlighten unbelievers; bless our relations, friends and benefactors; assists the dying; deliver the holy souls in purgatory; and extend over all hearts the sweet empire of Thy love. Amen. The Prayer Book, The Catholic Press, Inc.
Today is the last day of the Novena to the Sacred Heart for our priests' intentions. Tomorrow we commemorate World Day of Prayer for the Sanctification of Priests. Blessed John Paul II established that, on the solemnity of the Sacred Heart, the Church will observe the World Day of prayer for the Sanctification of Priests. 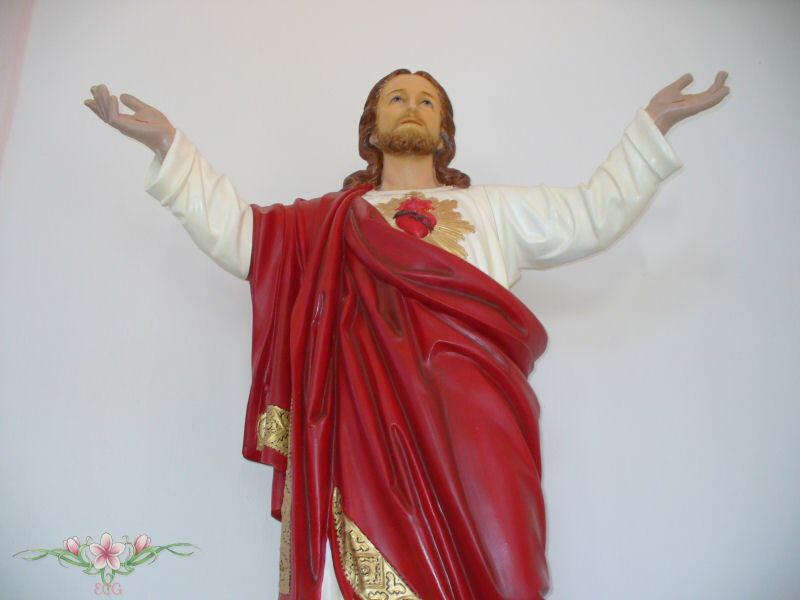 In 2002, the Catholic Church announced a special annual world priest day, a day of prayer for the sanctification of priests to be held on the feast of the Sacred Heart of Jesus. 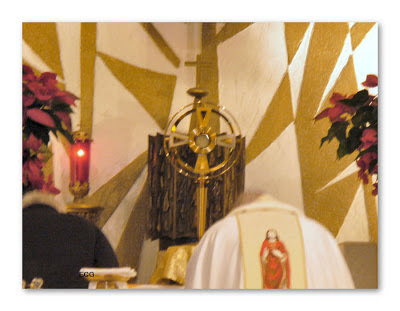 The 2010 to 2011 ''Year of The Priests'' was a tremendous success worldwide. We are most grateful to all who participated in making this year of prayer such a special gift to all priests. We strongly encourage each and every one of the faithful to begin, if not already doing so, to pray for our priests today - this day, this very moment - in preparation through prayer, celebration of the Mass and Eucharistic Adoration, so that the 07th June 2013 will be an even greater celebration of the priesthood of Jesus Christ worldwide. 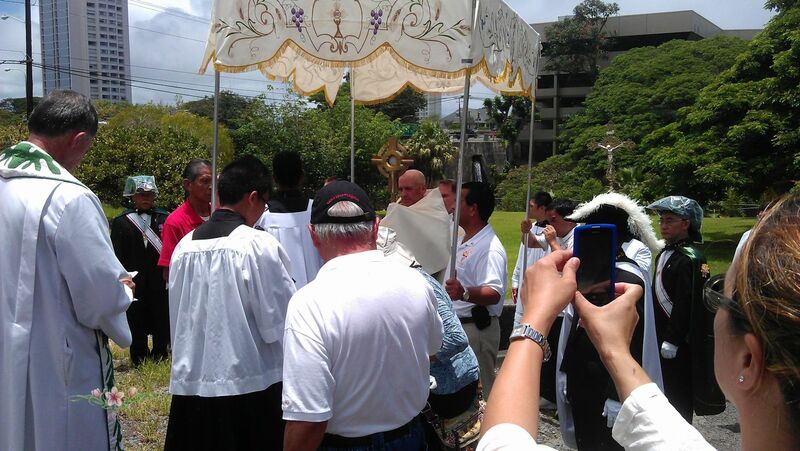 EWTN will be broadcasting live the Rosary Relay for Priests on First Friday, June 7th, 2013 at 9:30 A.M. EST. The following are prayers for our priests. Reflective Moment at 3:00 P.M. 3:00 P.M. begins the Hour of Mercy. We can start this reflective moment by praying the Divine Mercy Chaplet. We are encouraging people around the world to stop whatever they are doing at 3pm local time and spend a quiet moment praying in thanksgiving for our priests and contemplating the gift of priesthood. Set your cell phone alarm to ring at 3pm local time as a reminder to stop reflect and pray for a few moments. people a share in your redeeming sacrifice. Hear our prayer for the sanctification of our priests. Gospel with pure heart and clear conscience. 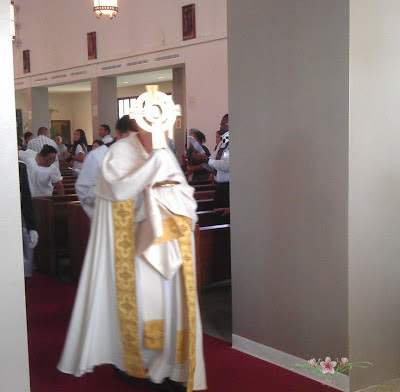 You love your priest with all your priestly Heart. Hear our heartfelt prayer for our priests and in particular today for Father __________________. for the souls of priest in Purgatory. Merciful Heart of Jesus, remember that they are weak and frail human beings. Increase in them a deep faith, a bright and firm hope, and a burning love. in their frustration, You show them that it is through suffering that the soul is purified. Please call forth more priests to serve Your Church. Lord Jesus, we your people pray to You for our priests. You have given them to us for OUR needs. We pray for them in THEIR needs. We know that You have made them priests in the likeness of your own priesthood. You have consecrated them, set them aside, annointed them, filled them with the Holy Spirit, appointed them to teach, to preach, to minister, to console, to forgive, and to feed us with Your Body and Blood. Yet we know, too, that they are one with us and share our human weaknesses. We know too that they are tempted to sin and discouragement as are we, needing to be ministered to, as do we, to be consoled and forgiven, as do we. Indeed, we thank You for choosing them from among us, so that they understand us as we understand them, suffer with us and rejoice with us, worry with us and trust with us, share our beings, our lives, our faith. We ask that You give them this day the gift You gave Your chosen ones on the way to Emmaus: Your presence in their hearts, Your holiness in their souls, Your joy in their spirits. 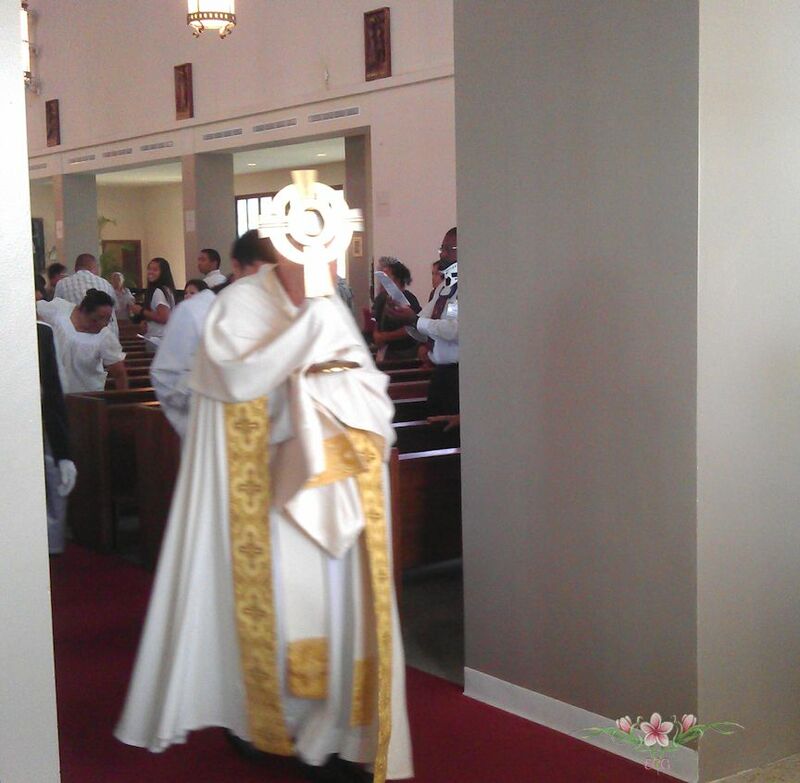 And let them see You face to face in the breaking of the Eucharistic bread. We pray to You, O Lord, through Mary the mother of all priests, for Your priests and for ours. give all priests Thy spirit of charity. Fr. Peyton’s Cause is progressing; thank God! The Diocesan Inquiry was completed in Baltimore in 2010 and a second alleged medical miracle diocesan investigation was completed in 2011. 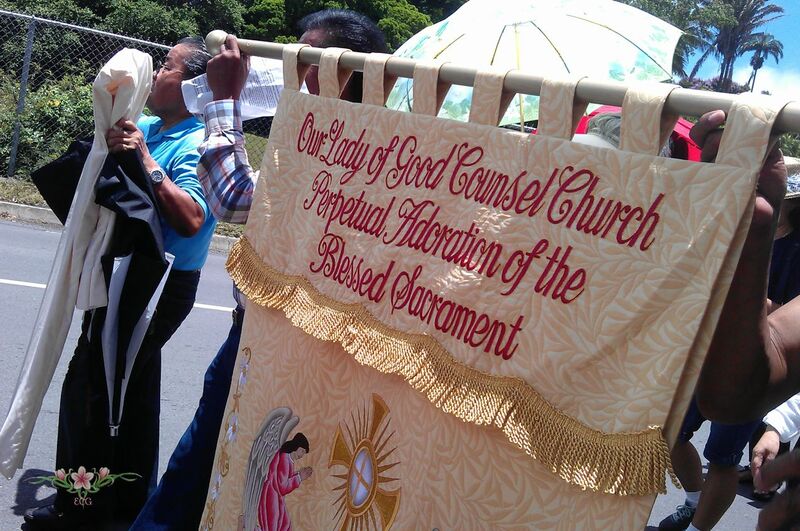 All three documents will eventually be reviewed by the Congregation for the Causes of Saints. First the Diocesan Inquiry is being condensed into a document called the Positio which we hope will be completed and ready for presentation to the Congregation by Easter 2014. Then the Congregation will review the document and if they vote in favor; Fr. Peyton will be declared Venerable. After this stage is reached then they could review the first alleged medical miracle that has been documented from Uganda. This if approved would bring Fr. Peyton to the stage of Blessed. And, then the next step would be to review the 2nd Alleged Medical Miracle which would be necessary to be named a Saint. In all we continue to pray, be pleased to receive people’s prayer requests and favors granted as well as possible medical miracles. We are glad that progress is being made and are grateful for folks like yourselves who talk to others about Fr. Peyton and his message of Family Rosary Prayer. was during his life on earth. with childlike confidence and love. 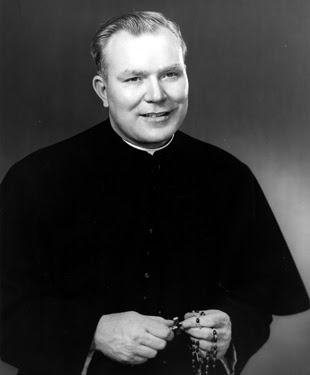 Those of you interested in learning more about Father Peyton, the Rosary Priest, please click Father Peyton's Cause for Sainthood. In the early morning, 5:00 a.m. to be exact, churches in Hawaii, including Sacred Heart Church, joined the Cathedral of Our Lady of Peace, and the entire world, in Eucharistic Adoration. 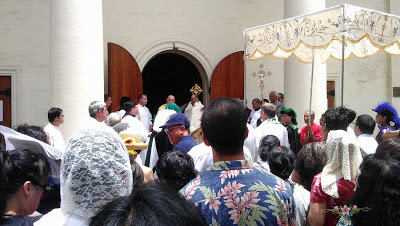 Later that afternoon, the faithful walked behind our Lord, processed from St. Theresa the Co-Cathedral to downtown to the Cathedral of Our Lady of Peace. 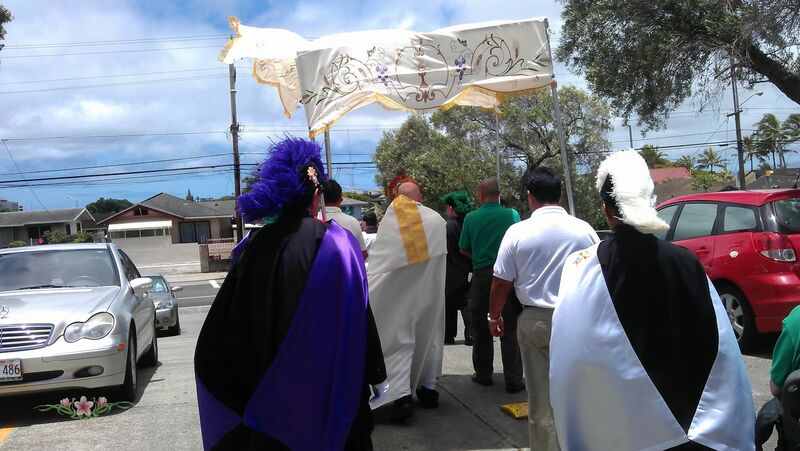 The procession was led by our own Bishop Larry Silva, and followed by other priests, deacons, the Knights of Columbus. There were three stops with prayers and benediction at each one. 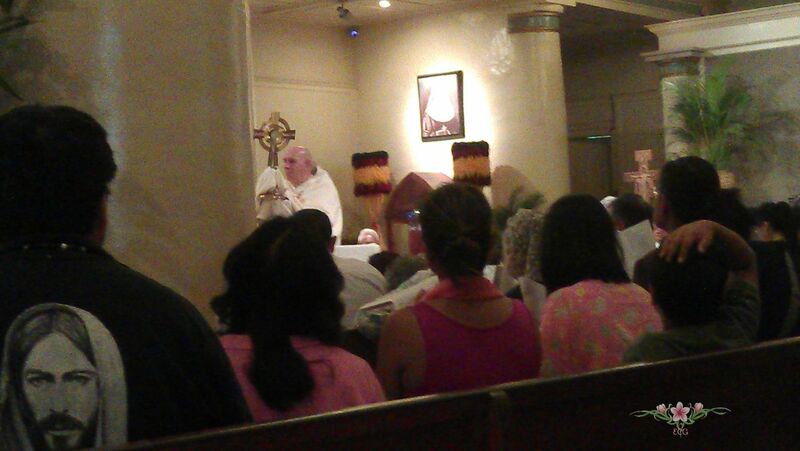 Finally, we arrived at the Cathedral where we continue with adoration, the praying of the Divine Mercy Chaplet and Benediction. 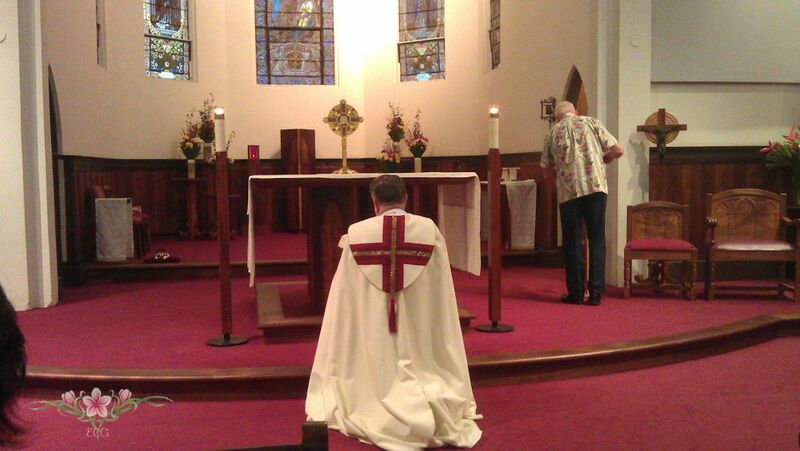 What a glorious way to celebrate the Feast of the Most Holy Body and Blood of Christ. Note: I am updating this post to include something I didn't have available when I first posted this. The Catholic Church celebrates and commemorates the Feast of Corpus Christi. Many churches will be exposing Jesus for Eucharistic Adoration in accordance with Pope Francis' request to join him in adoring our God. At Adoration this morning I reflected on Father Mateo Crawley-Boevey's meditation that Jesus is imprisoned in the tabernacle. 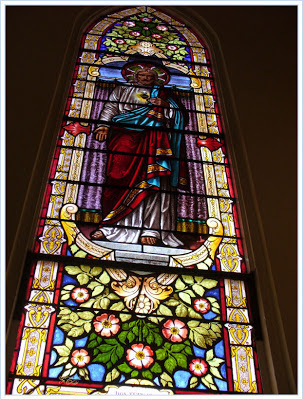 With the guidance of the Holy Spirit I further reflected on just how Catholics and especially the priests were able to celebrate Mass or adore our Lord while they themselves were imprisoned. A dungeon enclosed Jesus after He had been seized in the Garden of Olives, the evening of Holy Thursday. The Tabernacle is the New Prison in which Jesus has shut Himself for love of us and where He will dwell until the end of time. Twenty centuries have elapsed; but today as then, in one prison as in the other, He is still the same Jesus, treated with contempt, scoffed at, buried in opprobrium. Father Jean Bernard wrote about his imprisonment in the infamous Dachau concentration camp. He and other priests were kept separated by the other prisoners in what they called "Priestblock" Father's number was 25487. He wrote about a priest that had newly arrived at Dachau. One morning Father de Coninck pulls out a cellophane bag labeled "vitamin C" from a fold in his shirt. In the good old days it was possible to buy such vitamin pills at the camp store. Through the cellophane the shimmer of a piece of consecrated Host was visible, barely half an inch long. We all had difficulty hiding our excitement. "Don't give us away", said de Coninck. "A German priest from barrack 26 has sent the Lord to us." We decide to keep this most precious treasure among us for the time being and then to divide it among ourselves for the day when each of us is put on a transport. Those were days of celebration. 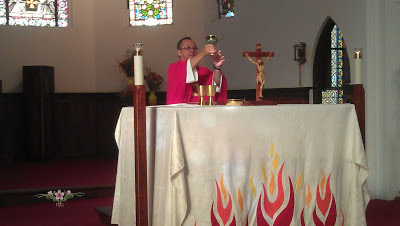 Now when we spoke the prayers of the Mass together, Father de Coninck held the Host inconspicuously in his hand. How much consolation that brought to the hearts of the tormented priests, how much courage and readiness to sacrifice, cannot be expressed in words. Sometimes I think that those who have never been deprived of an opportunity to say or hear Mass do not really appreciate what a treasure the Mass is. I know, in any event, what it came to mean to me and the priests I met in the Soviet Union; I know the sacrifices we made and the risks we ran in order just to have a change to say or hear Mass. 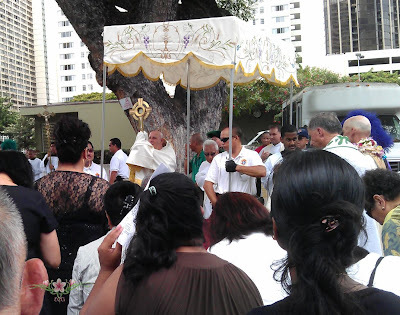 When we were constantly hungry in the camps, when the food we got each day was just barely enough to keep us going, I have seen priests pass up breakfast and work at hard labor on an empty stomach until noon in order to keep the Eucharistic fast, because the noon break at the work site was the time we could best get together for a hidden Mass. I did that often myself. And sometimes, when the guards were observing us too closely and we couldn't risk saying Mass at the work site, the crusts of bread I had put in my pocket at breakfast remained there uneaten until I could get back to camp and say Mass at night. Or again, during the long arctic summer, when the work days were the longest and our hours of sleep were at a minimum, I have seen priests and prisoners deprive their bodies of needed sleep in order to get up before the rising bell for a secret Mass in a quiet barracks, while everyone else clung to those precious extra moments of sleep. In some ways, we led a catacomb existence with our Masses. We would be severely punished if we were discovered saying Mass, and there were always informers. But the Mass to us was always worth the danger and the sacrifice; we treasured it, we looked forward to it, we would do almost anything in order to say or attend a Mass...."
"I will never be able to express my immense joy: Every day with three drops of wine and one drop of water in the palm of my hand, I celebrated my Mass. On September 8, 1955, the press around the world reported in shock the overnight arrest of Bishop Kung along with more than 200 priests and Church leaders in Shanghai. Months after his arrest, he was taken out to a mob "struggle session" in the old Dog Racing stadium in Shanghai. Thousands were ordered to attend and to hear the Bishop's public confession of his "crimes." With his hands tied behind his back, wearing a Chinese pajama suit, the 5-foot tall bishop was pushed forward to the microphone to confess. To the shock of the security police, they heard a righteous loud cry of "Long live Christ the King, Long live the Pope" from the Bishop. The crowd responded immediately, "Long live Christ the King, Long live Bishop Kung". Bishop Kung was quickly dragged away to the police car and disappeared from the world until he was brought to trial in 1960. Bishop Kung was sentenced to life imprisonment. How many more heroic priests falsely imprisoned for the Faith, continue to adore our Lord and the celebrate the Holy Mass. One such priest is Father Gordon MacRae. Most of my readers know the story of his long imprisonment. He has written extensively about life behind bars. I wanted to share with you about his spiritual life in particular. Toward the end of that first five years in prison, a new chaplain arrived, a Catholic deacon. A few weeks after his arrival, I was summoned to his office. He wanted me to read a presentation on Eucharistic Adoration that he had written for the diocesan diaconate program. I sat in his office dutifully reading his essay. When I looked up at one point, I noticed a small wooden tabernacle on a shelf in the corner of the office. 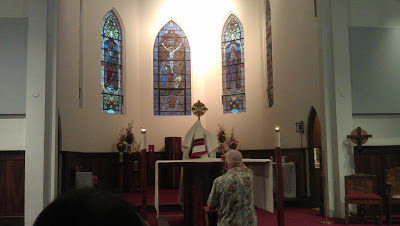 The tabernacle was hand carved by a Catholic prisoner, and was incredibly beautiful. Sitting there with the deacon’s essay in my hand, I noticed a small Sanctuary Lamp that was lit. 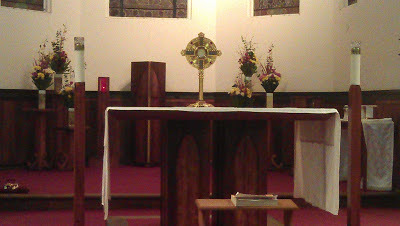 I realized with a great jolt that the Blessed Sacrament was in the tabernacle in the deacon’s office. I felt overwhelmed, and tears came to my eyes. For the first time in over five years, I was in the Presence of Christ in the Blessed Sacrament. The chaplain smiled, apparently thinking that I was reacting to his essay. So my friends, let us remember to never take for granted this immense privilege we have so readily available to us.